If you are looking for a fun, different and inspiring way to help out in your community this year, please plan on attending this event! LTR’s New Volunteer Orientation is for people interested in volunteering at LTR for the Spring Session. Orientation from 5:30 to 7:30pm on Monday, March 4th will focus on what LTR … Continue reading Volunteers Needed! LTR’s Annual Appeal is Here! Matching Gift Opportunity Through December 30, 2017 Give a gift that isn’t just financial. A gift to LTR is one of hope, connection, and a lifetime of healing. Thanks to generous donors, any gift you make by December 30, 2017 will be matched up to $15,000! 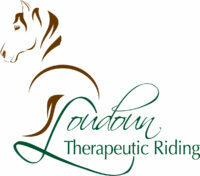 Loudoun Therapeutic Riding has been serving people with physical, … Continue reading LTR’s Annual Appeal is Here!